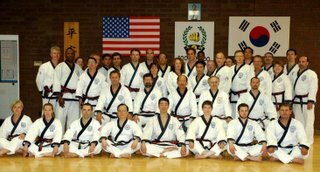 This blog dedicated to the tradition of the Ko Dan Ja, a place to exchange information among the U.S. SOO BAHK DO MOO DUK KWAN Federation®, Ko Dan Ja and those associated with the World MOO DUK KWAN® organization, under the guidance and direction of our Kwan Jang Nim, H.C. Hwang. 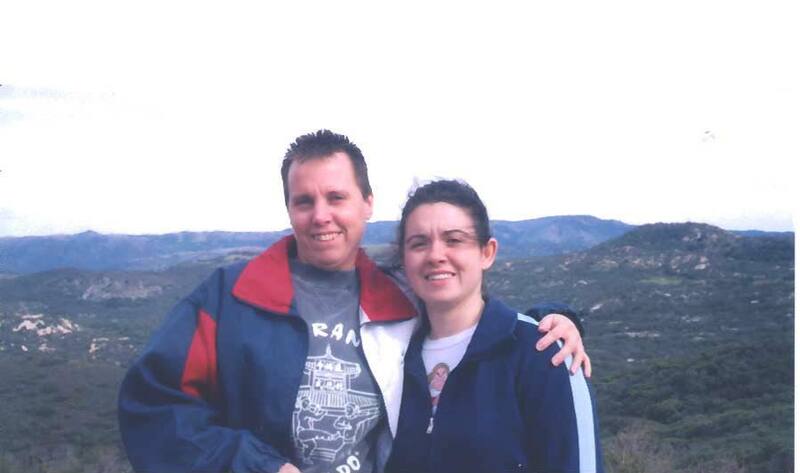 Photo courtesy of F.Bonsignore, photo(s) used with permission. The Ko Dan Ja Experience Logo by Roberto Bonefont, Sr. http://soobahkdokodanja.blogspot.com/ by Roberto Bonefont, Sr. is licensed under a Creative Commons Attribution-NonCommercial-NoDerivs 3.0 United States License . Based on a work at soobahkdokodanja.blogspot.com. 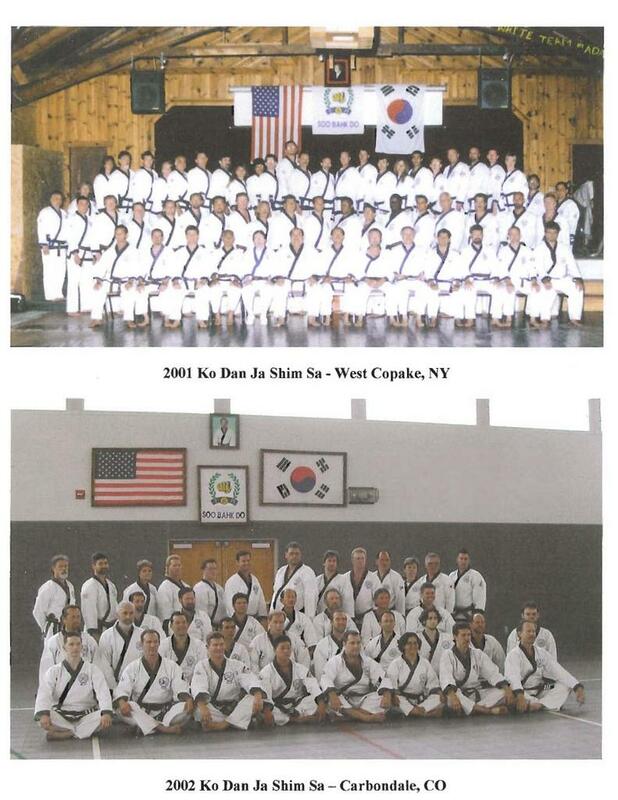 This blog in part, is dedicated to the Ko Dan Ja Shim Sa Experience, a modern tradition that has been established by our Founder, the Late Great Grandmaster Hwang Kee. 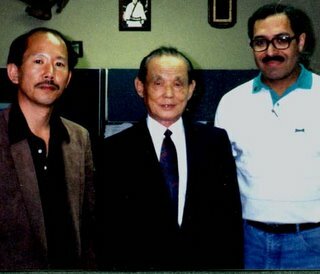 l to r: Kwan Jang Nim H.C. Hwang, Founder Hwang Kee and author, October 1989. 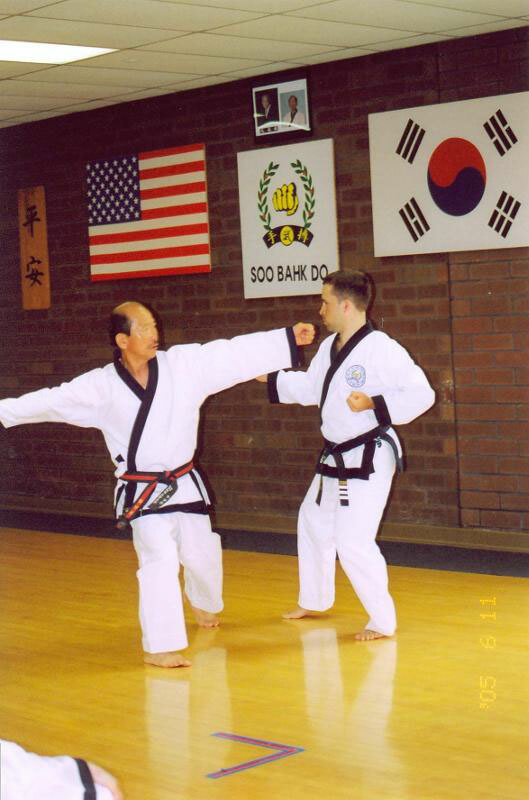 His successor and our present Kwan Jang Nim, H.C. Hwang; upholds this established modern tradition throughout the world on an annual basis. There are other organizations that have copied the Ko Dan Ja Shim Sa experience. 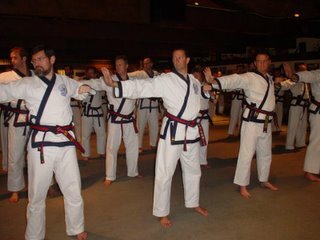 This experience was established as part of the Moo Duk Kwan® martia art school teaching style and its philosophy, and there is only one MOO DUK KWAN® martial art school and therefore only one Ko Dan Ja Shim Sa Experience. 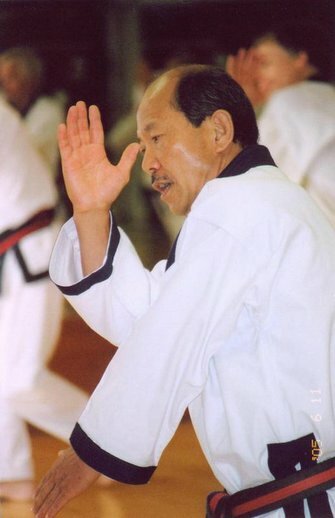 In December 1983, our Founder, Hwang Kee organized and attended the first week-long Ko Dan Ja test. 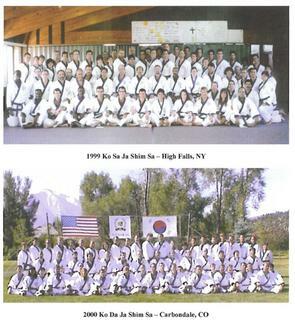 Since 1983, there has been an annual Ko Dan Ja Shim Sa Experience in various locations throughout the United States and in many countries abroad, including South Korea, Mexico and South America. 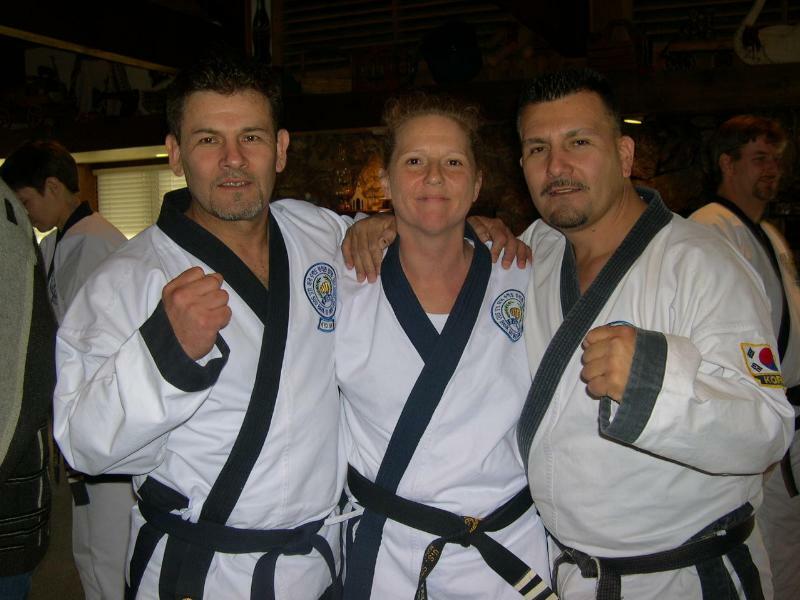 After a candidate successfully completes a Ko Dan Ja evaluation, they are awarded their Master level and/or their Sa Bom (certified instructor) level. The training and the evaluations don't stop there, it continues on a recurring basis through training in all the regions. 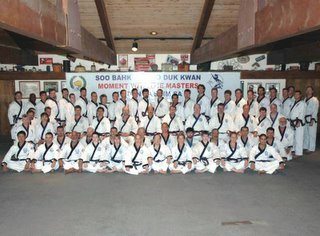 The Kwan Jang Nim holds monthly training classes for Ko Dan Ja for any Ko Dan Ja who wants to attend at Federation Headquarters. 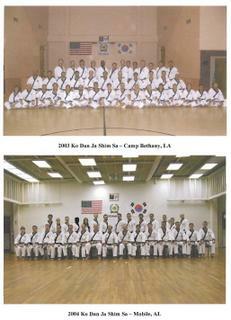 Below are some recent pictures from Ko Dan Ja training at Federation Headquarters. Below the Kwan Jang Nim makes a point on specific technique of movement. 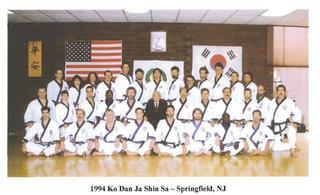 The 22nd Ko Dan Ja Shim Sa - My personal experience. There are some traditional and unique experiences that we all share as Ko Dan Ja candidates. For example, there is always a scheduled "nature walk", weather permitting of course. Below you can see the Ko Dan Ja women candidates from the 22nd KDJ shim sa during the nature walk (well, in our case, mountain walk) with Kwan Jang Nim H.C. Hwang. 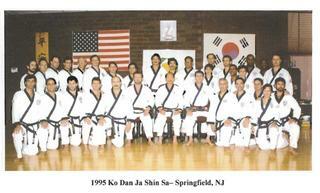 This shim sa group was very large, I believe the largest so far at a shim sa. On the way down from the Mountain! The only real break you get is during the time set aside for the banquet. The banquet is usually organized to occur at a local eatery, although I don't know if there was any such banquet during the very first Ko Dan Ja Shim Sa. Anyone know? I was amazed at the amount of "improv" that occurred during ours. The visiting Ko Dan Ja are assigned a specific task to accomplish, and of course the candidates are "expected" to do a specific task as well. 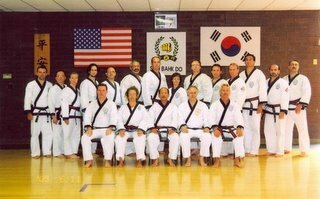 I won't give away any of the "secrets" so to speak, only to say... that by the time you are finished, you feel like you just finished another training session at the shim sa and you are ready to get back on the bus and head back... as crazy as that may seem. Many, and I do mean many, take advantage of the bus ride to and from to take a short "combat nap" in between locations. 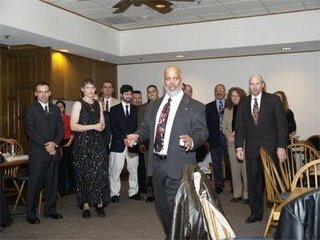 Our time at "The Banquet" was a very memorable experience and it is something to share between attendees, but I'd love to show you the video, perhaps in the immediate future we will. 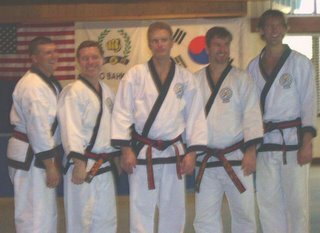 In the meantime, trust me, it's a significant experience throughout the Ko Dan Ja Shim Sa Experience, one I will never forget. 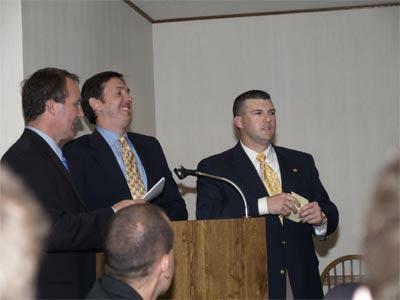 Below are some pictures of those moments at the banquet. SOO BAHK! there are certain things you just can't describe...Have to thank Master Williams for her creative thinking. Here we are at the end of the week long challenge to better ourselves and improve our Moo Do. We look tired? Or is it just a dream? 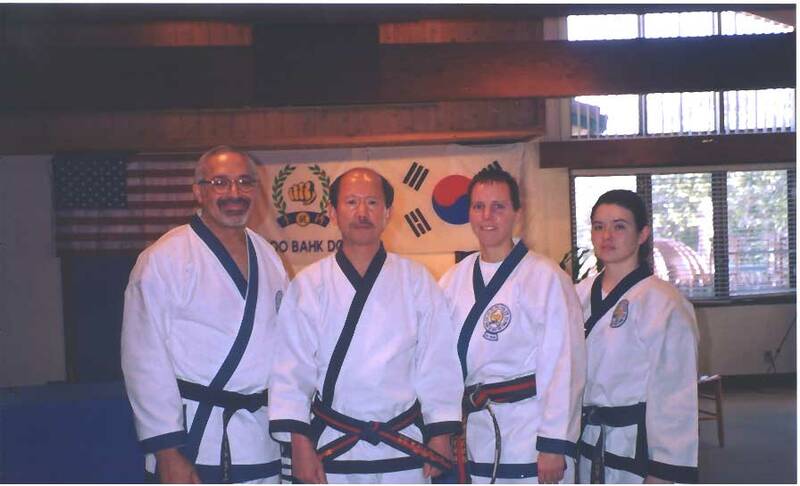 l to r: author, Kwan Jang Nim H.C. Hwang, Debbie Lindeman, Sa bom Nim and Master Rachael Schepperly. 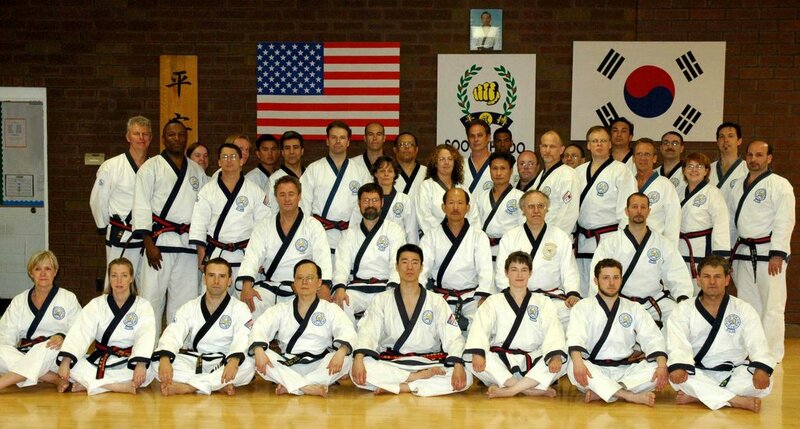 22nd Annual Ko Dan Ja Shim Sa participants, Ramona, Ca. One word that comes to mind is constant! 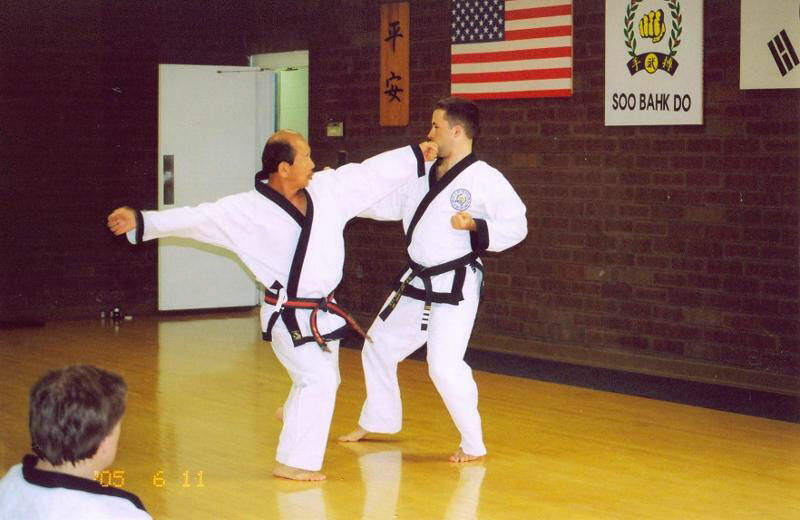 The training is like no other. I have some training experience in several other martial arts and military police self defense tactics, so when I say like no other, I mean like no other I have experienced. Initially when you arrive at the Shim sa you are basically in a fog. 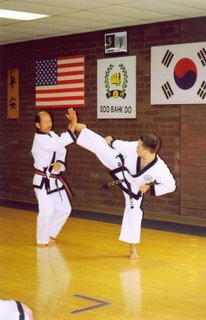 Things flow fairly fast initially and the tempo really doesn't slow down perhaps until your final evaluation by the Kwan Jang Nim and his senior Ko Dan Ja. It has to become your personal choice of involvement or level of involvement to really "get" the most out of your experience. 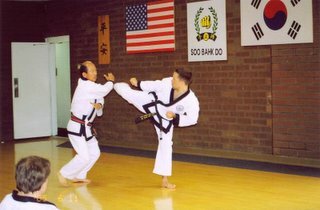 In reality, the majority of the candidates are experienced martial artists, most of the candidates take an enormous amount of personal time to train prior to arriving at the Shim sa. In my case, I had to lose some weight in order to have my knees and lower back support my physical efforts for the week. In order to lose that weight I had regular sessions at my local gym; aerobics and weight training for my legs, and plenty of "machine supported" situps to increase the strength in my abs and lower back. 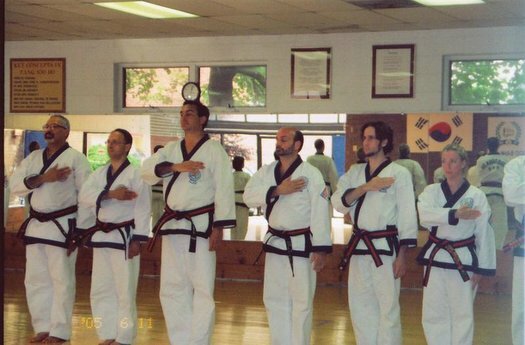 I started that routine several months before even being invited to attend. In fact, I started the summer before the expected Shim Sa date. 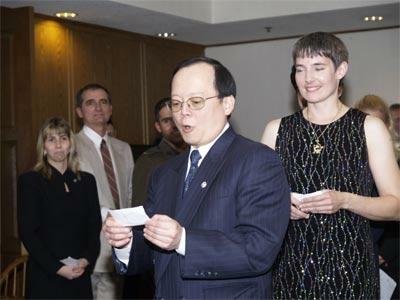 Once the invitation arrived, it became valuable for me to increase the routine. I started with only two days a week and then by the time I was getting ready to attend, increased to three to four days a week. By the time I did go, I was doing 3 miles, three times a week and I had lost 9 pounds. 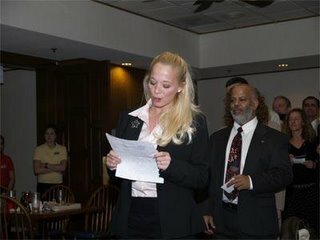 I have to say internally it gave me great motivation to receive the actual acceptance letter to attend, and I don't know if this was just personal to my experience, but the Chairman of the TAC, at the time Ted Mason, Sa Bom Nim, had great timing, the letter arrived at the right time. The actual letter became the "great motivator" for me. After years of ever thinking I would be attending, all of sudden, it was real challenge to me spiritually, physically and mentally. You wouldn't think that a piece of paper could carry so much weight, but it did. Whenever my bones hurts, muscles were sore, or my energy levels were low, just reading the letter gave me that extra kick in the pants to get going. The key to that motivator was having great support from my instructors, Alex Baran, Debbie Lindemann (also was a candidate for O Dan), and Allen Ruqus, Sa Bom Nims and a great fellow candidate training partner, Rachel Schepperly (now Master Schepperly). 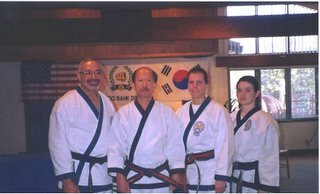 If not for their support, their attention to detail, their high standards of training and their knowledge and experience of " Moo Do", it would been impossible for me to even attend. 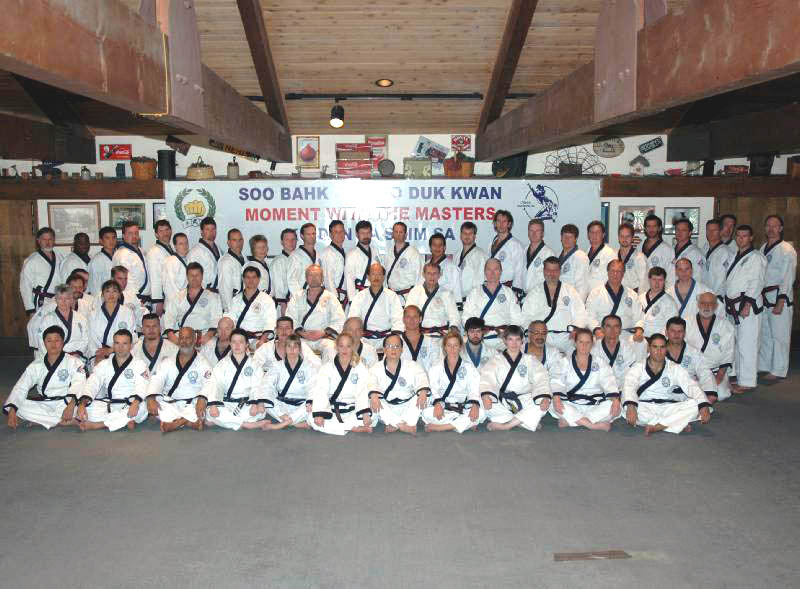 Having a motivated instructor cadre and the support of the entire dojang population are "Great Motivators". Once the fog disappears, and it did for me around Day 3, you start to find your "zone". It's not really a comfort zone, because you are constantly (that word again) evaluated. Of course, they tell you what to expect initially, the roles and responsibilities that are assigned to the TAC, the TAC assistants and the visiting Ko Dan Ja. Looking at the structure from the outside, so to speak, gives you a very good perspective that there is an internal support system for all candidates, and that you should use it when you are allowed. When I first realized that visiting Ko Dan Ja, eventhough they are "visitors", they are assigned responsibilities that will help the candidates succeed, I thought that was awesome. 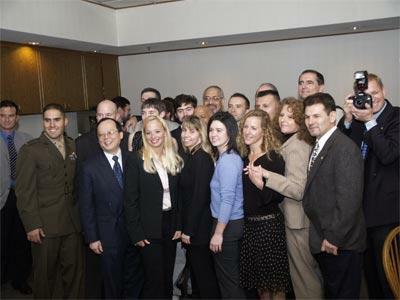 In my opinion, the whole operation is setup to assist, motivate, and encourage success. Here's the but... it's candidate preparation. 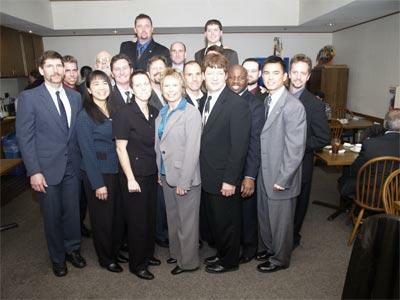 If you are a candidate invited to attend, your responsibility to prepare prior to attending is paramount. It will make you or break you. The most important part of that preparation becomes evident when the pre-evaluation occurs. So my only piece of advice is "PREPARE BEFORE YOU GO"! 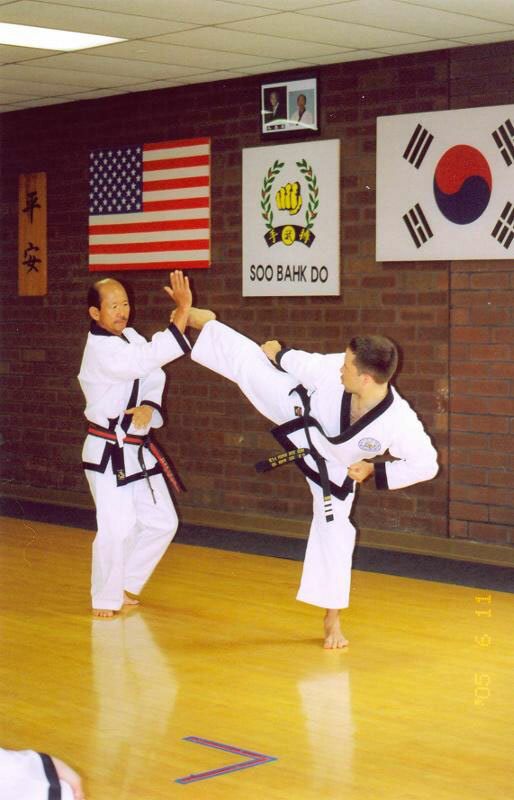 You get more out of the daily training sessions if you know your required material, from basic ki cho to advanced hyung, KNOW YOUR MATERIAL. Your training takes on a higher level of awareness if you know your material, you start to see the intent behind the technique, the essence of hyung, the precision of Ho Sin Sool or Il Soo Sik Dae Ryun and you'll understand the "use of the huri" (I'm still struggling with that, but I know and realize the intensity that is required behind it). 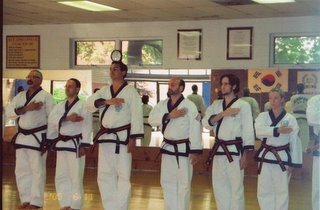 Training time at the Shim sa is quality training, and if you don't know the material that means it has to be taught over and over and that, believe it or not, takes away from your "practice, practice, practice" time as well as time away from others. For example, if you don't know your required hyungs, notice I said "know"; there will be times when candidates are specifically "taught" hyung, this where you see the subtle and not subtle precision and essence of your required hyungs. 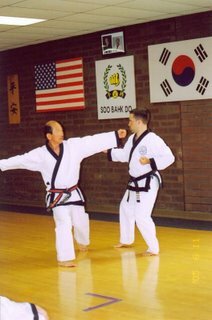 If you don't get the subtle changes when they are taught, you'll get plenty of time to do it over and over, but if you don't know your movements, when your group performs, you'll be the one that will be out of sync or will forget the changes and make the entire group look like they just learned the hyung. Only because you didn't know your material. NOT GOOD. I say not good, because that will cause an unnecessary imbalance in your group. That imbalance will be interpreted by someone as either "they are holding us back, or why can't they get with it, or other negative feelings. That is a natural reaction when you put people together under stressful conditions. 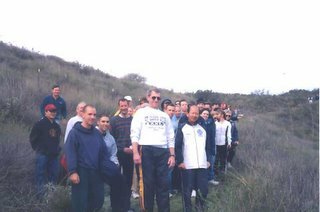 And if there is ONE THING that your group must have is "harmony and balance". 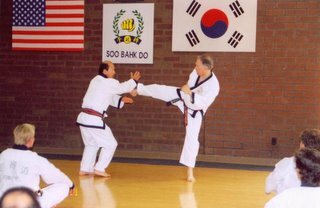 There is no place at the Shim sa for "attitudes". You and your group must collectively find a balance and harmony that translates into positive energy at the final evaluation. If your group is lucky enough you will find that positive energy by Day 2 and it will carry through to the end, I believe that is the ideal. Several things come to mind when it comes to attitudes, remember these. For example, "cooperate and graduate", "there is no i in TEAM", "check your attitude at the door", etc. Every morning when you see yourself in the mirror say to yourself how enthusiastic you will be during the day, motivate yourself and others. 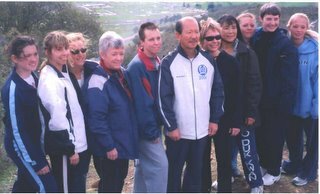 Words like "Please, Thank You, Awesome, are motivators, find a group saying or motivator, like "good to go", bad to the bone, etc., getting together after a practice session and getting in a circle and yelling "SOO BAHK" will help build that balance, harmony and spirit you'll need as a group. Group confidence shows positive energy! There are plenty of sayings, slogans and other phrases that get the message across, find one and put it on the front cover of your notebook as a reminder and for all to see. BE READY, ALWAYS BE READY! Can't say enough about this, just be ready. The last item I'd like to address is "leadership". 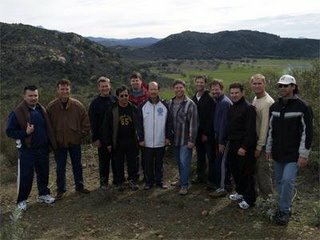 Your group will have a leader, it will be the senior dan in your group. Support your leadership, no matter what. Even if you are the senior and have no experience in leadership, group dynamics or group discipline, ask for advice, from your senior candidates, the visiting Ko Dan Ja, your fellow candidates. If you are being led, listen carefully to your seniors, support their requests (there is a reason why you are asked to do something, even though you may not be told the reason), be on time, respect your fellow candidates and remember "treat people as you would like to be treated". I'm a great believer in Stephen R. Covey, author of the "7 Habits of Highly Effective People" especially the 5th habit which states "Seek First to Understand, Then to be Understood" - Covey suggests that gaining trust is earned through true understanding of another person and the point of view he or she holds. Through empathetic listening we are opening ourselves up to being influenced. Instead of evaluating, probing, advising, or interpreting we are listening so as to understand how others see and feel. By allowing ourselves to be influenced, we too may influence others because trust has been built and people tend to be less defensive and more open to our ideas. The key here is "listening". WELL ... Hopefully my perspective here will be understood. I hope you enjoyed this short blog. Soo Bahk!